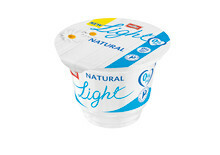 As the nation’s favourite yogurt brand looks to build on its leadership position within the category, Müller will shake up the segment with a recipe that is luxurious and creamy tasting, but fat free and high in protein. 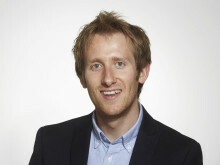 Research identified that key purchase barriers for Müllerlight shoppers in this segment include concerns over sugar and fat. 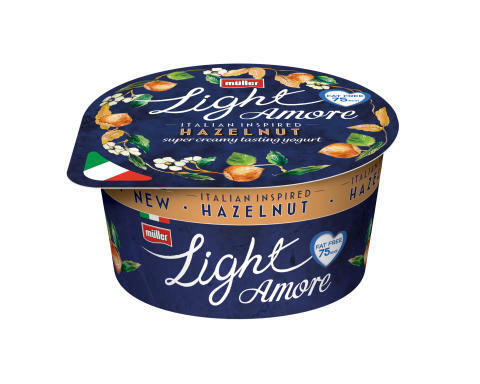 Müllerlight Amore is fat free, and with an average total sugar content of 6.2g, the dairy company is confident that the product will breakthrough existing shopper concerns. “Through products that are motivated by health and inspired by taste, we’re committed to inspiring people to live happier and healthier lives. 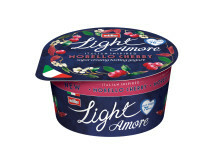 Müllerlight Amore will be available to shoppers in Asda from 4 March and Morrisons from 25 March. It will be available in three flavours: Hazelnut, Morello Cherry and Lemon, in 130g single packs and the RRP is £1. The launch is part of Müller’s unprecedented UK investment of over £400m, over the next three years, to develop, manufacture and market a new generation of branded and private label dairy products. It will be supported by an ongoing Müllerlight multimedia campaign, featuring Commonwealth Games and World Indoor Championship gold medallist, and Müller brand ambassador, Katarina Johnson-Thompson. 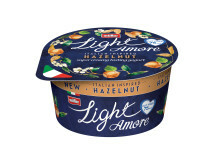 As Müller continues to work towards the inclusion of clear on-pack protein claims on all its Müller yogurt products, Müllerlight Amore packaging will include high in protein messaging. 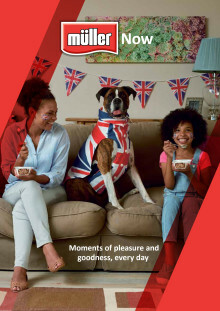 With Müller Bliss Corner and Müller Bliss Corner Cheesecake Inspired already in the market, the launch will build the Official Yogurt of British Athletics presence in the luxury segment.